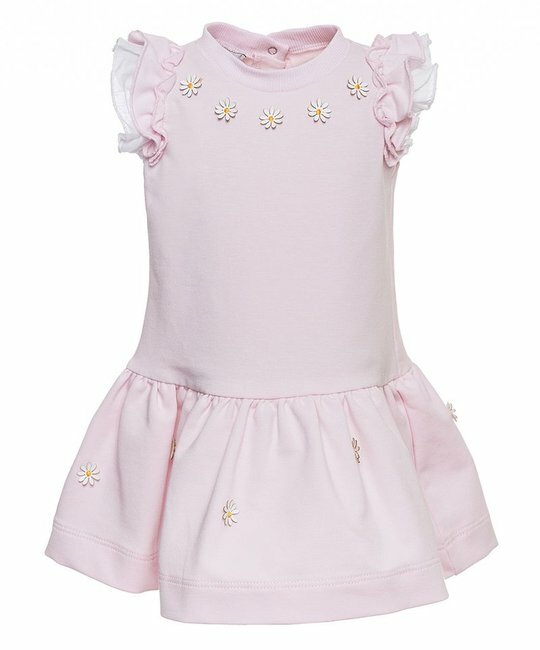 Monnalisa soft pink cotton jersey dress with ruffled sleeves and embellished daisy print detailing. 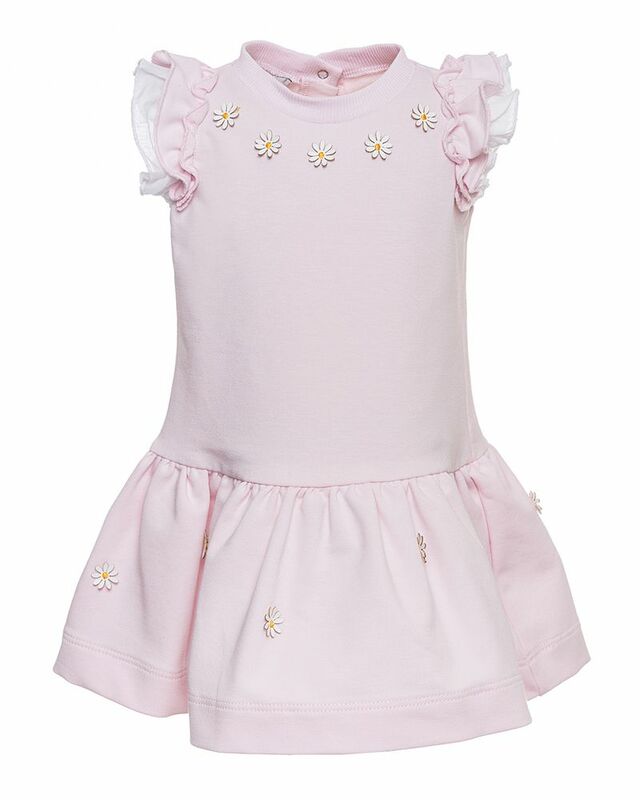 73% Cotton, 22% Polyester, 5 % Elastane. Made in Turkey.